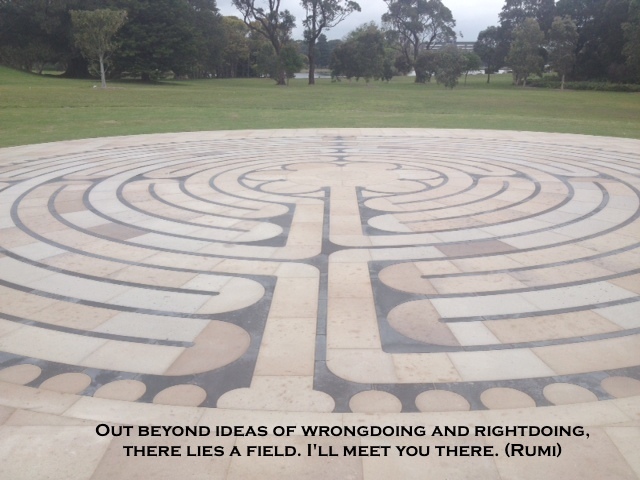 There will be an Archimedes Spiral Labyrinth and a Chalice of Love labyrinth painted onto the field, as well as a Pilgrim Riverstone Labyrinth in which walkers can select a river stone near the threshold and walk it into the labyrinth, leaving their worries behind by placing the stone somewhere along the painted path. 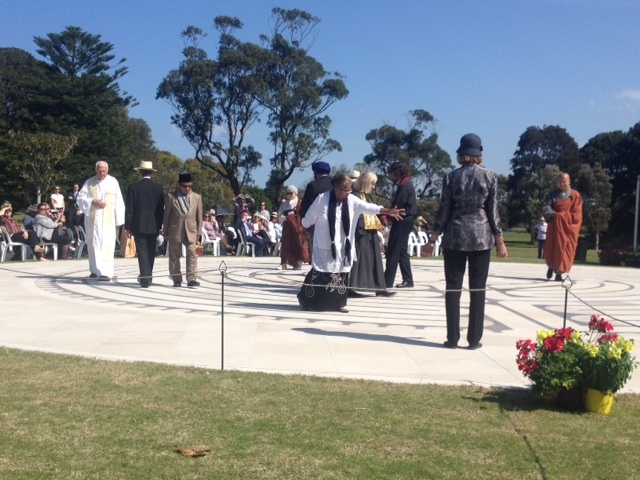 So the Pilgrim Labyrinth will emerge slowly over the day as one by one, each pilgrim lays their burden down. 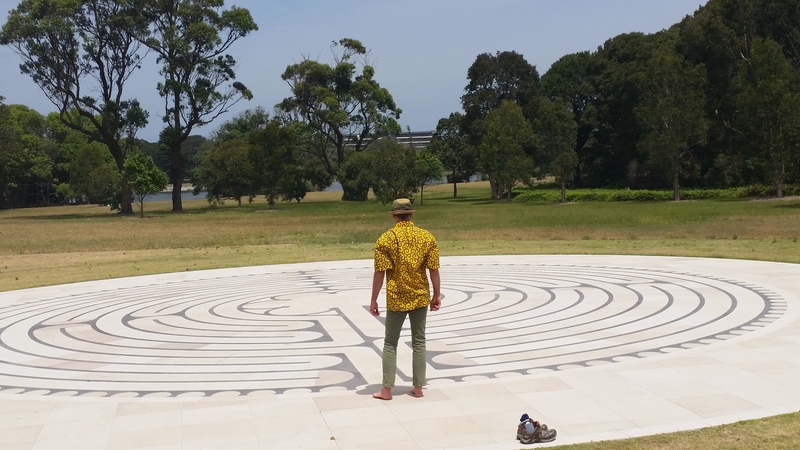 Mark Healy’s magnificent wooden labyrinth products will be on offer and you’ll be able to talk to Donna Mulhearn about her spectacular Blue Labyrinth Bush Retreat in the Blue Mountains. Michele Macgregor will be offering her beautiful Luxmi beeswax candles. Patrick Kayrooz will be offering his beautiful silver jewellery inspired by sacred geometry. Alf from Bar Coco will be providing espresso coffee, cold drinks, sandwiches, muffins, gelato and milk shakes. Bring a picnic rug to share with your friends. Free event – all welcome! 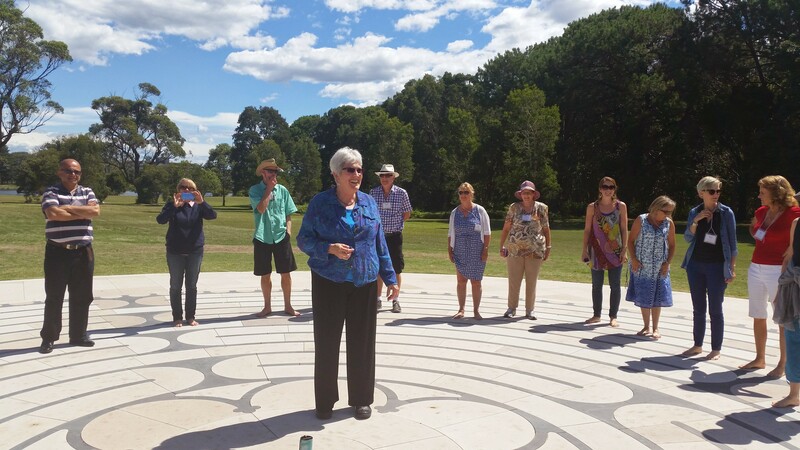 The woman who kick started the global labyrinth movement 20 years ago, Rev Dr Lauren Artress was in Sydney to train 30 new labyrinth facilitators. 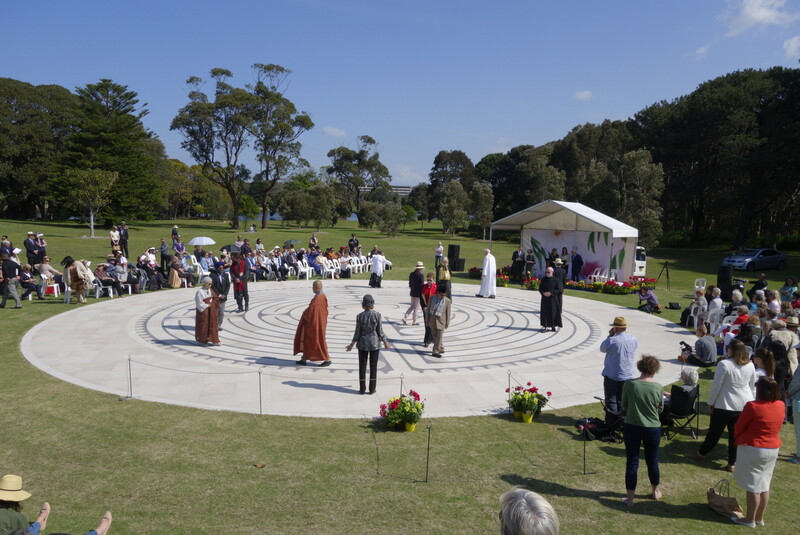 On Sunday 1st Feb she was guest of honour at the Dedication of the Labyrinth which included the beautiful music of Corrina Bonshek which is now available online. 1. Releasing on the way in – letting go of what no longer serves. 2. Receiving a sense of peace and calm as you pause in the centre. 3. 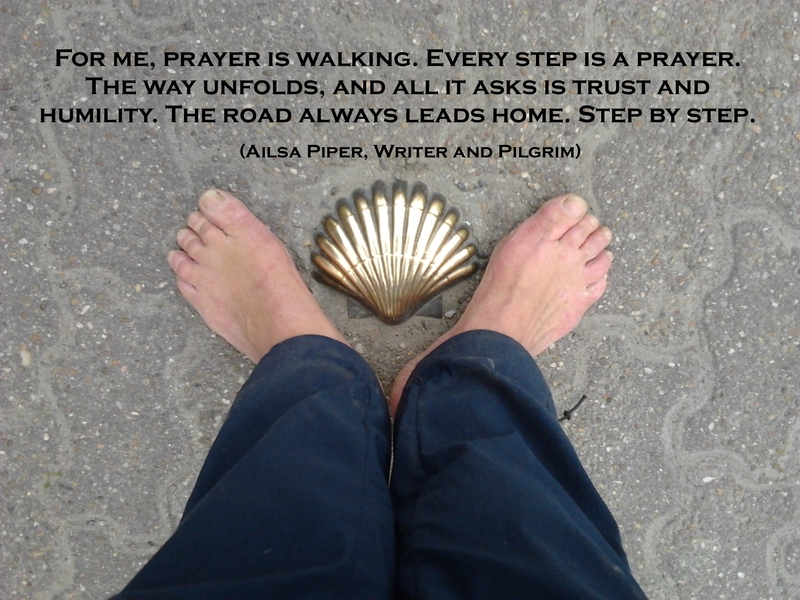 Resolving to engage with the world in a new way as you follow the same path back out. 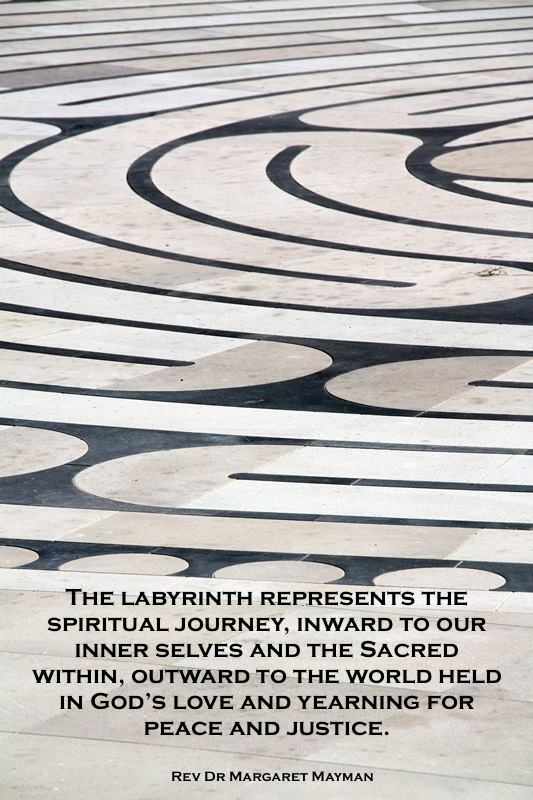 Want to learn more about the labyrinth? 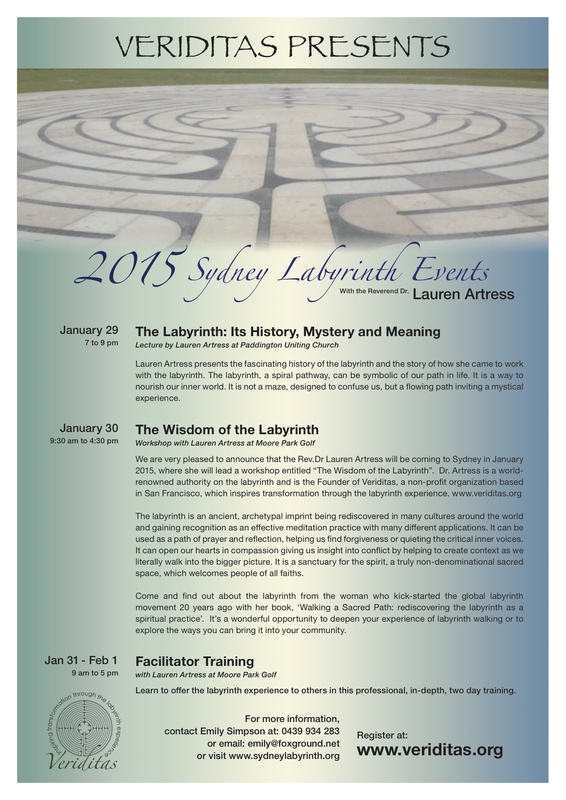 The woman who kick started the global labyrinth movement 20 years ago, Rev Dr Lauren Artress is coming to Sydney to speak and teach in January 2015. 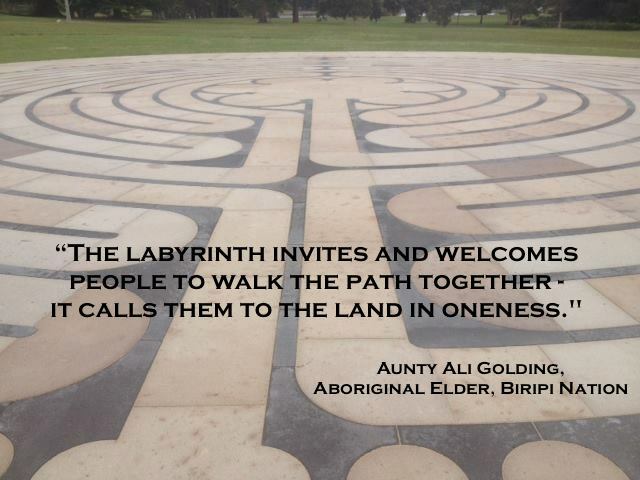 Whether you want to bring the labyrinth to your community or simply deepen your understanding of it, then this is a rare opportunity. 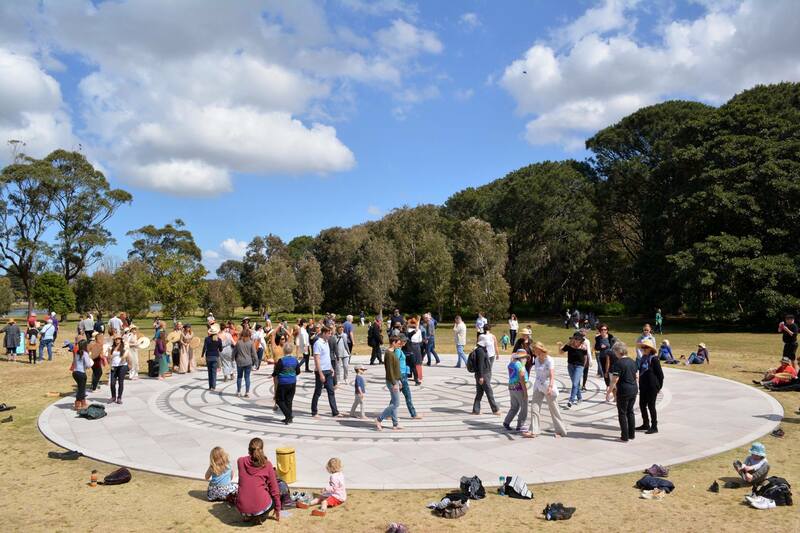 The Centennial Park Labyrinth is open! 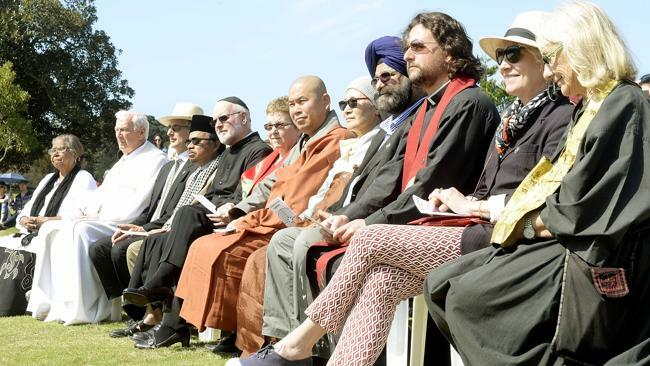 In this image you see Aunty Ali Golding, Aboriginal Elder from the Biripi Nation, with Monsignor Tony Doherty, Rabbi Jeffrey Kamins, Imam Amin Hady and Venerable Boan Sunim all walking their sacred path together.